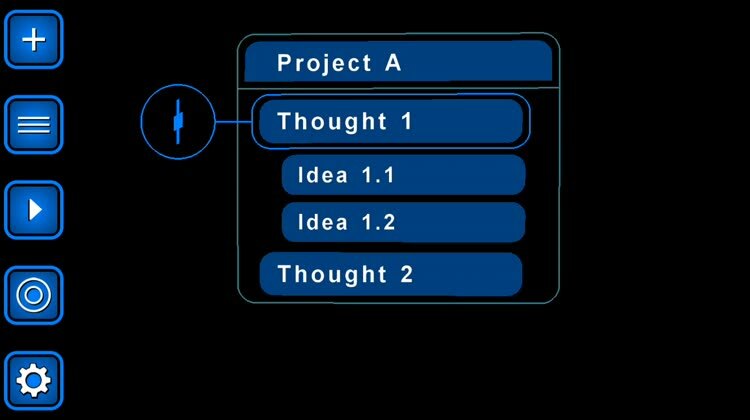 Having great ideas is one thing, but actually acting on those ideas is quite another. 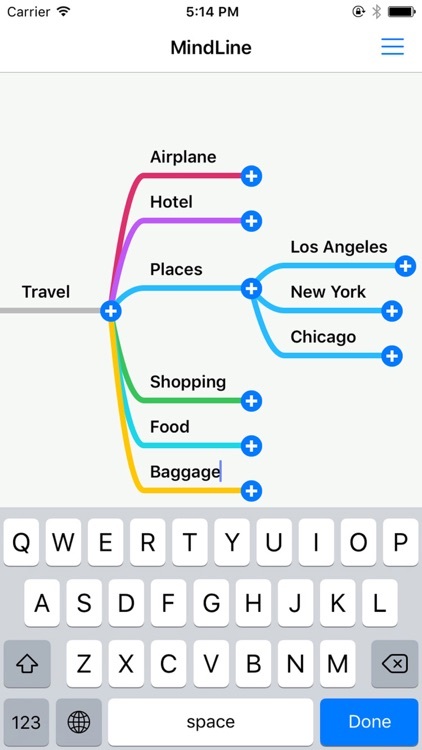 To help you do just that, you can visualize your ideas to be able to organize and work on them using these mind mapping apps. 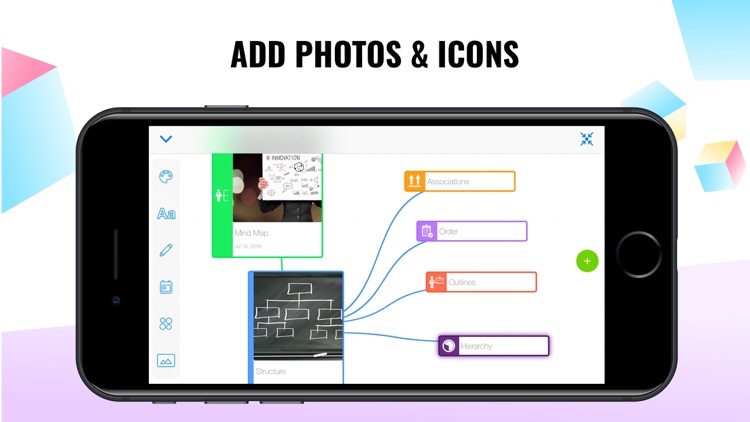 With these apps, you can easily sketch out your ideas by connecting thought bubbles, projects, and more. 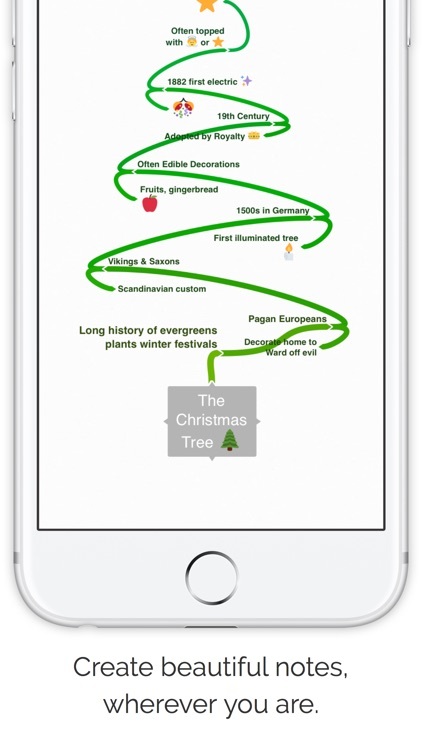 Whether you're working alone or with classmates or colleagues, these mind mapping wonders can help you be more creative and productive. 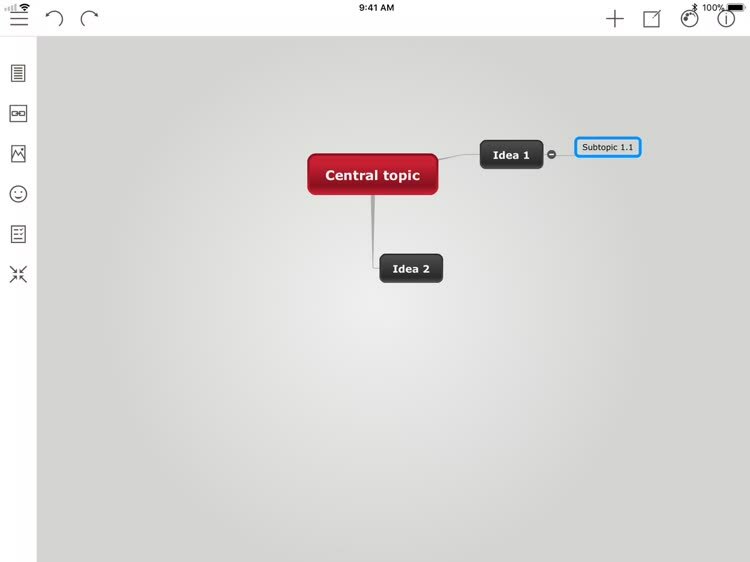 For those who want a mind map app with Apple Watch support and real-time collaboration. 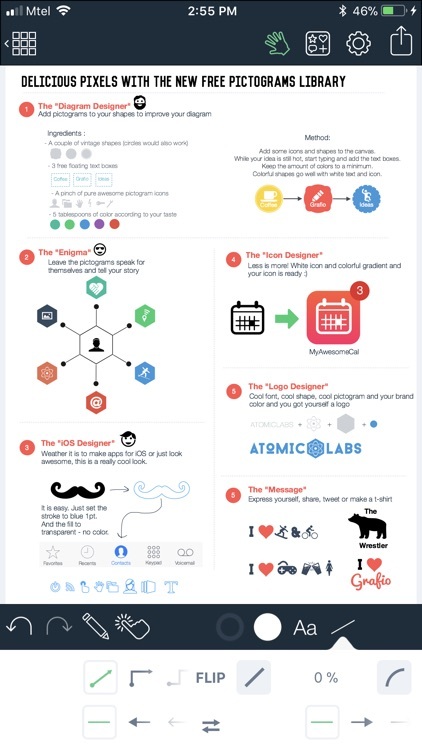 MindMeister is the one and only mobile mind mapping app you'll ever need. 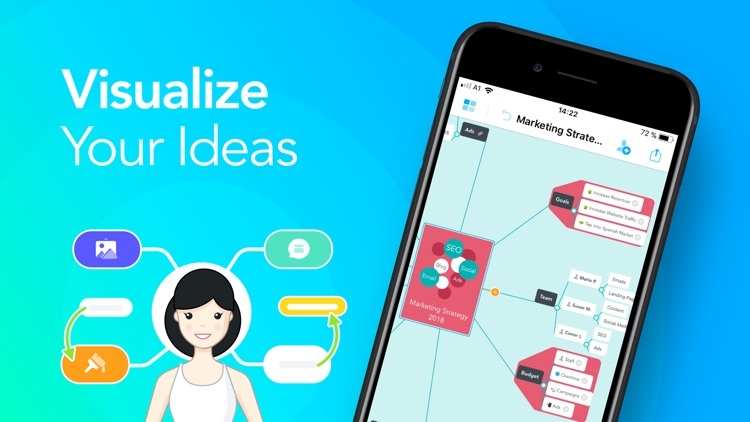 Whether you're using it in the boardroom, the classroom, the presentation hall, or the lunch meeting, MindMeister can help you organize, prioritize, and even generate new thoughts. 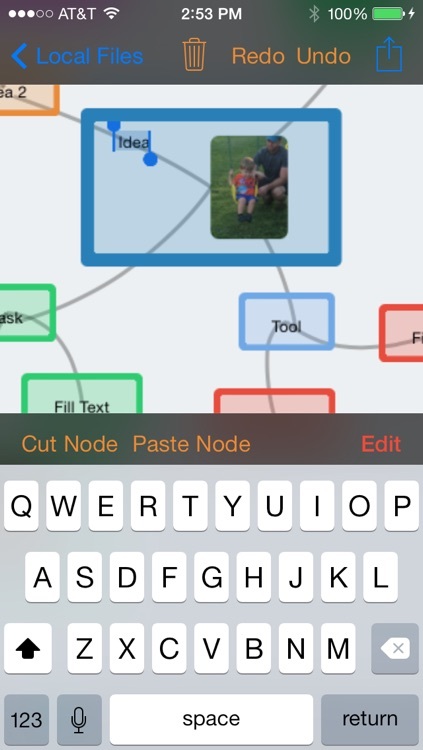 For those who want a mind map app with syncing for Dropbox and Google Drive. 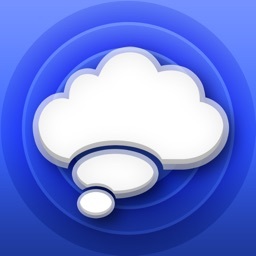 For those who want a mind map app both iPhone and iPad with iCloud support. 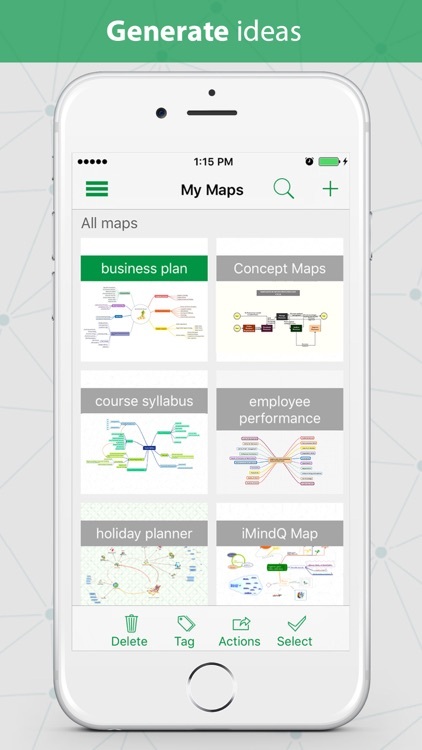 Using map notes, you can spread your ideas anywhere on an infinitely spread canvas. 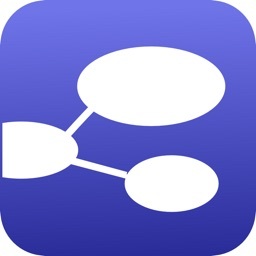 For those who want a mind map app with audio note recording and multiple support options. 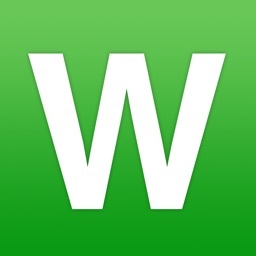 WARNING: This edition is superseded by SimpleMind Pro. 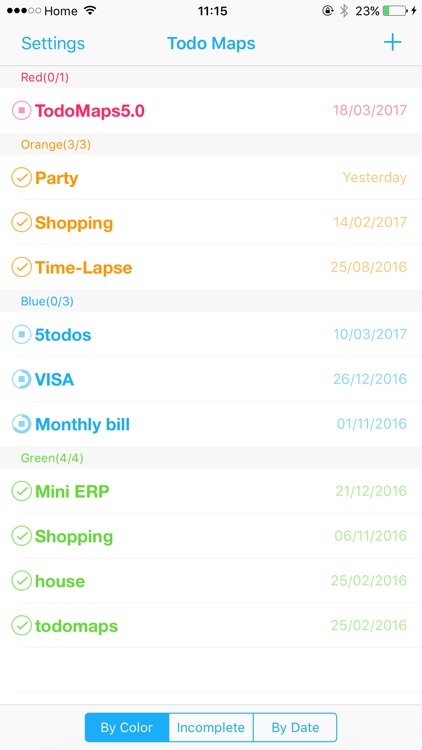 This app will continue to be updated, but we strongly advice new customers to purchase SimpleMind Pro. 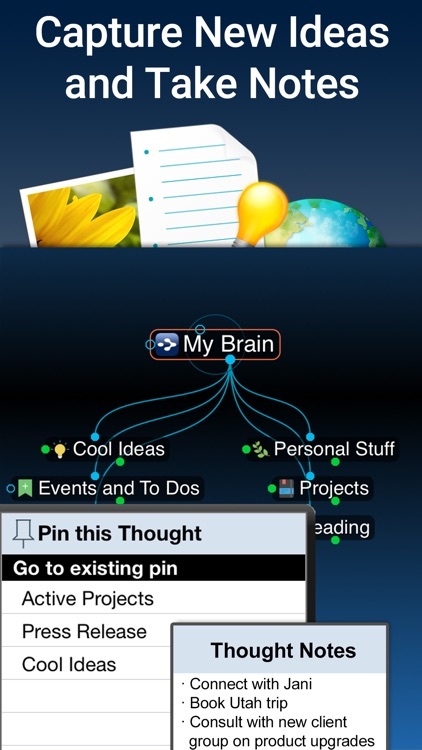 iMindMap users, keep your creativity flowing by accessing your Mind Maps on your phone with iMindMap iPhone. 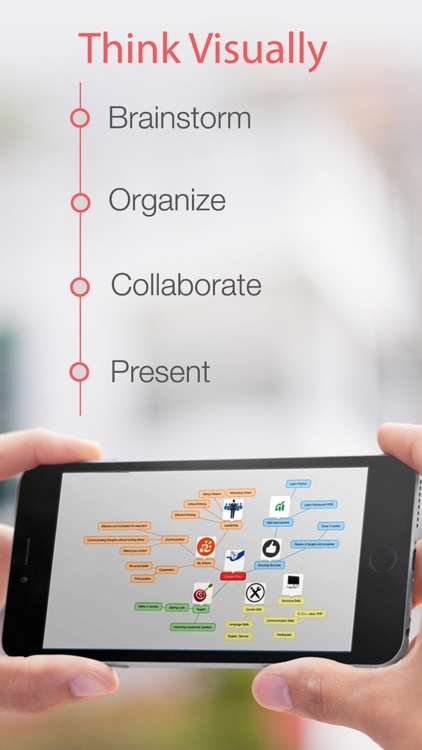 iMindMap iPhone gives you the freedom to develop and adapt your Mind Maps wherever you are. 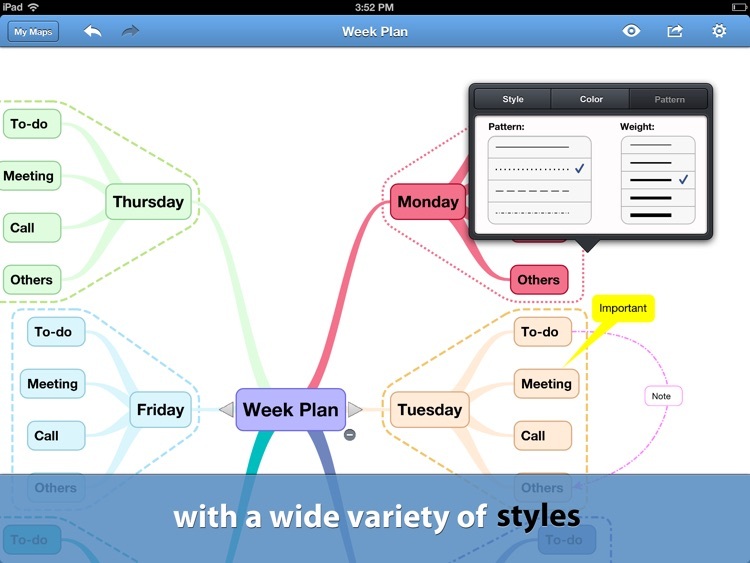 Download today to enjoy creative thinking and flexible productivity on-the-go. 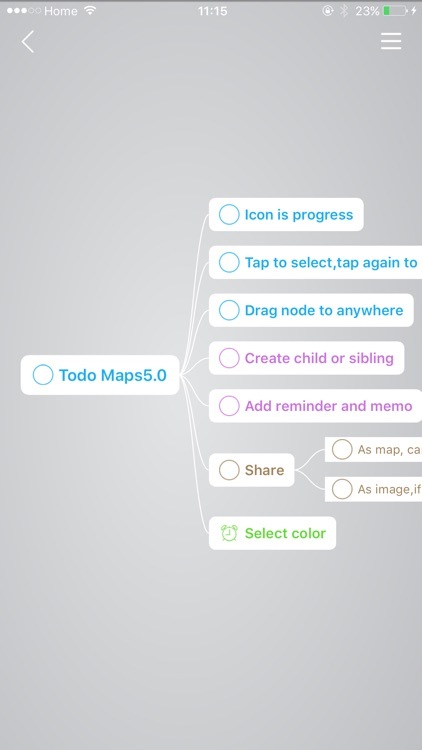 “TodoMaps” use the form of “Mind Mapping” to organize your to do list. 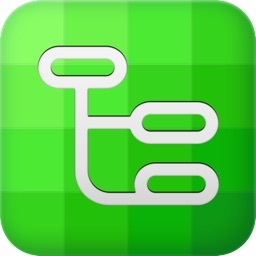 -Share map to friends with reminders. 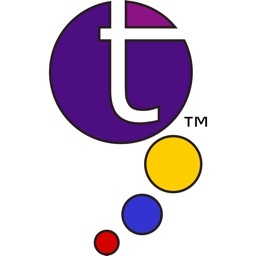 Described by Wall Street Journal as “Software that thinks like you do” and MacLife as “the most compelling mind mapping adaption we’ve encountered.” Winner of KMWorld's Trendsetting Products. 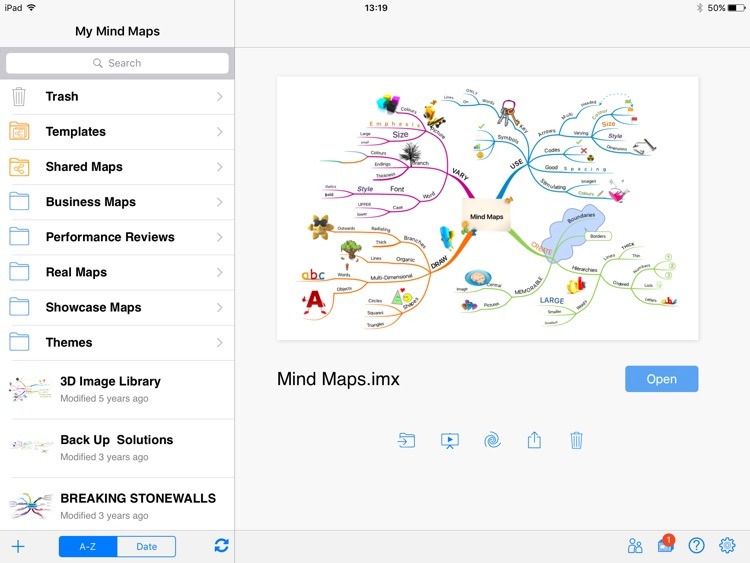 iMindMap users, keep your creativity flowing by accessing your Mind Maps on your iPad with iMindMap HD. 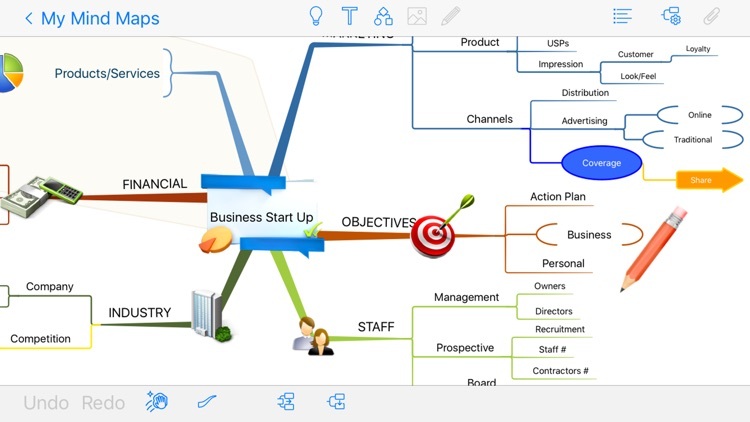 iMindMap HD gives you the freedom to develop and adapt your Mind Maps wherever you are. 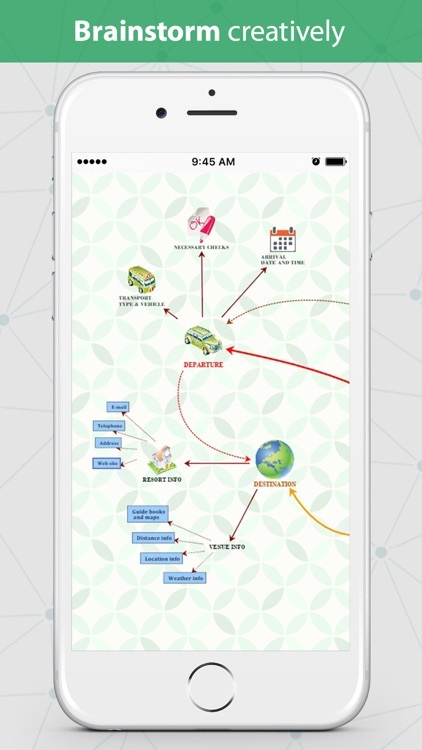 Download today to enjoy creative thinking on-the-go. 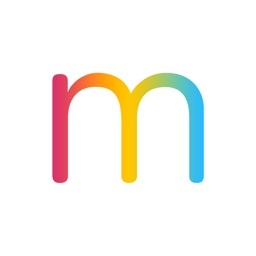 Log in with your Google account to get started instantly! 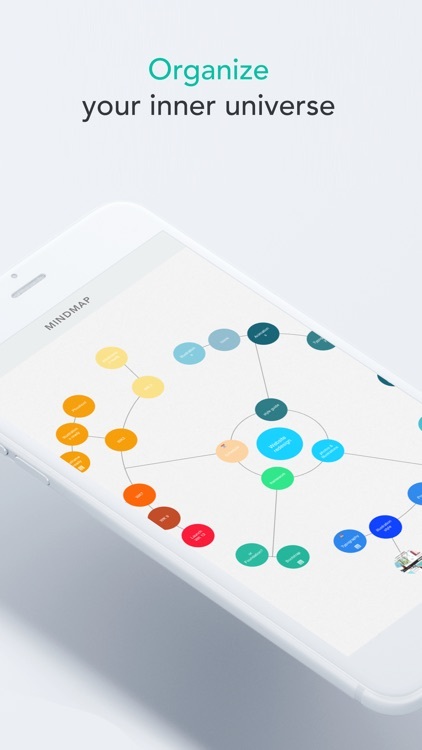 Headspace is iOS's coolest mind-mapping app! 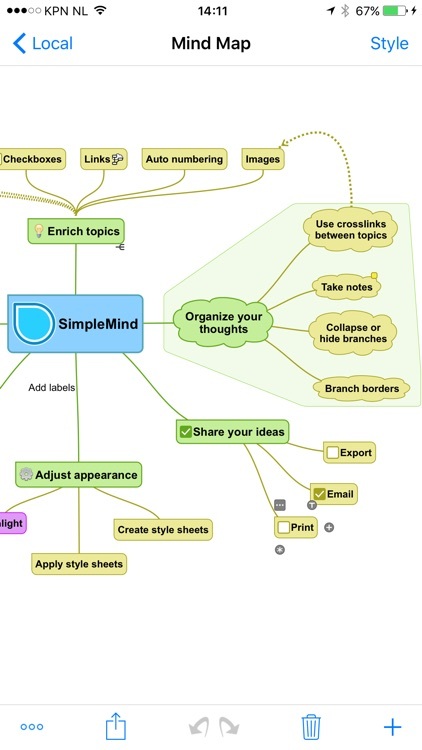 Organize your ideas in block-schemes with interconnections forming handy mind maps. 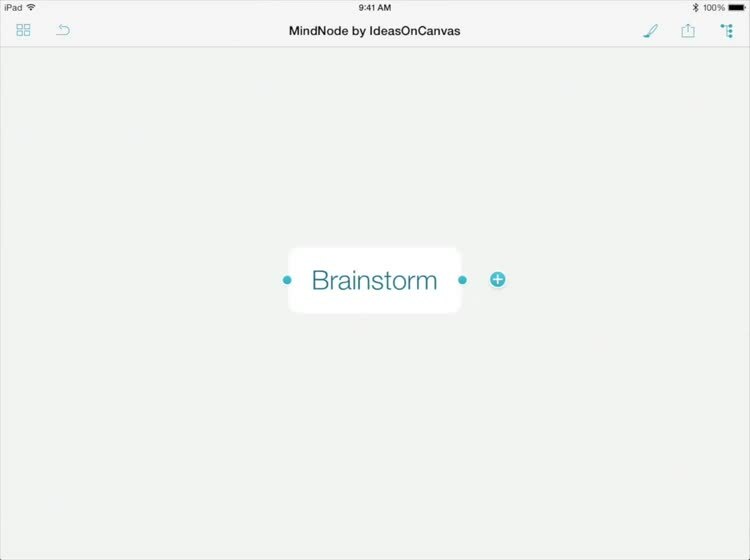 Focus on an idea or key details and make visual representation of your brainstorming process. 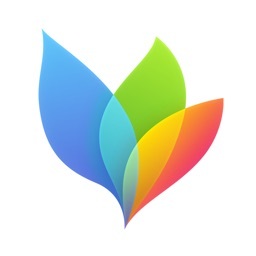 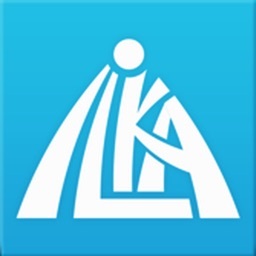 iLKA - ideas grow wings! 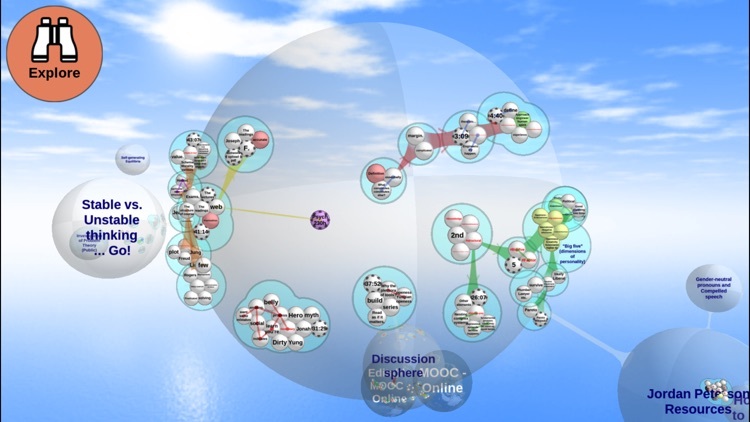 3D visual thinking for creative brainstorming, problem solving, collaborative research and education. 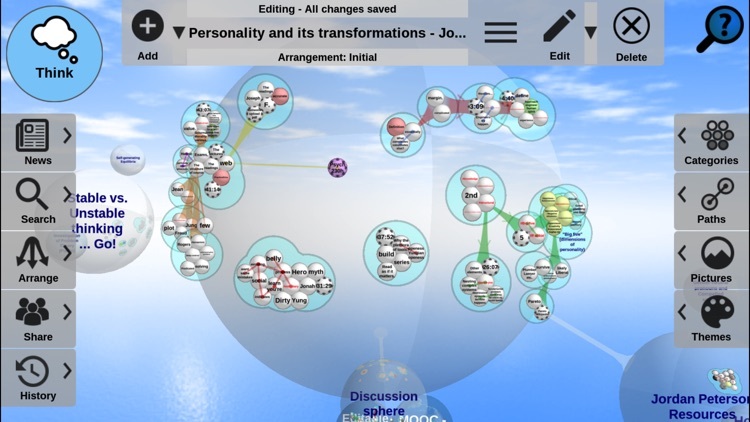 Beyond 3D mind mapping – reflecting how minds work. 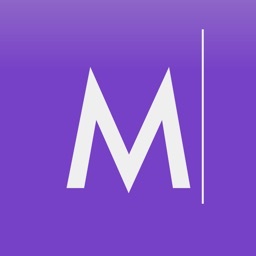 Mindscope is a new and powerfully simple way to store your thoughts without getting lost in the details. 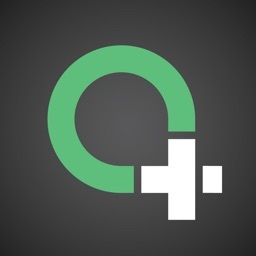 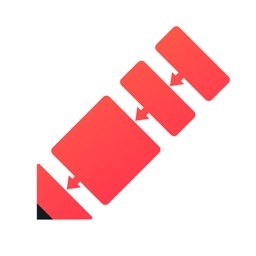 • Quickly create text entries with a double-tap and drag them around, aligning them to each other. 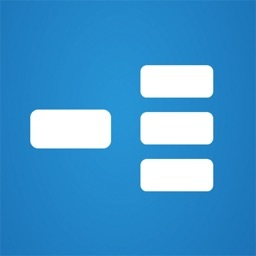 Perfect for brainstorming, capturing, and sorting thoughts or taking notes. 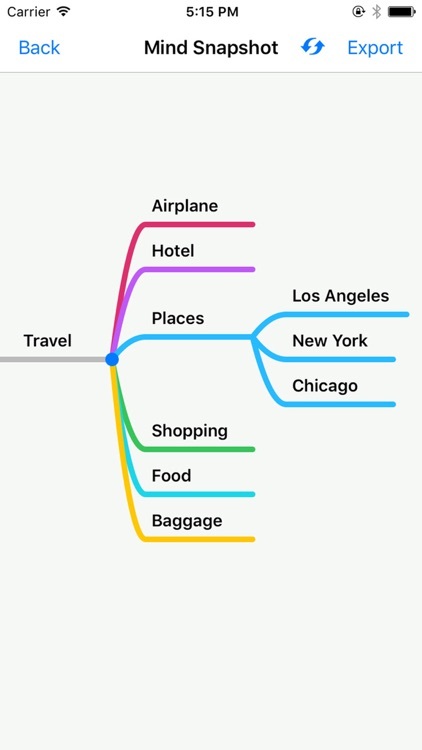 Elegant, intuitive & clutter-free mind mapping. 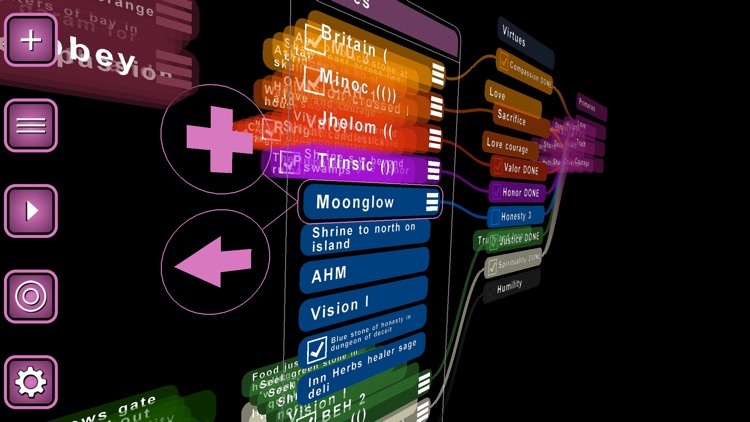 Wherever inspiration strikes. 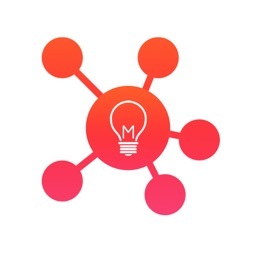 Capture and develop your best ideas. 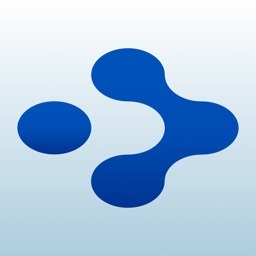 Realise your full potential with iBlueSky. 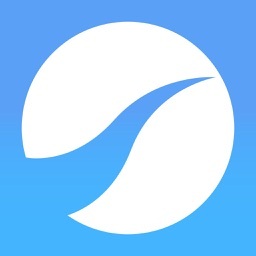 - Optimized for iPad Pro, iPad, iPhone & iPod Touch (only one purchase required to run with an optimized experience on all device types). 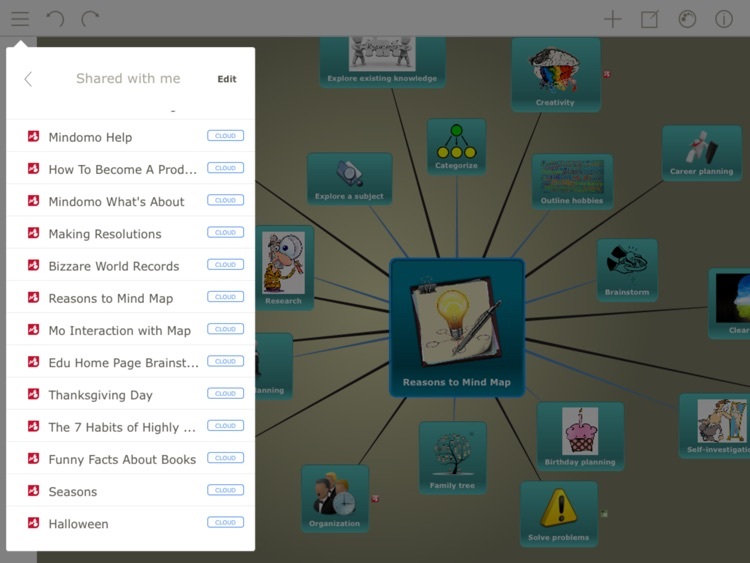 Mind Mapper is a mind mapping tool that helps users to capture and organize information visually. 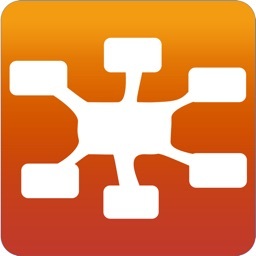 It is the only iPhone/iPad app available that supports multiple mapping directions with a planner that links to the map. 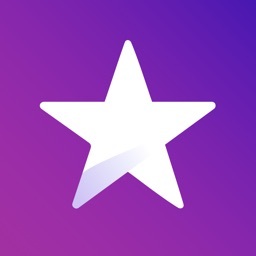 No more Ads! 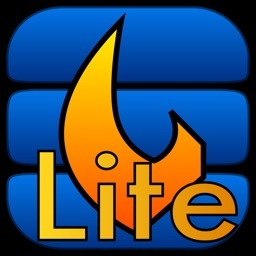 Completely free for a limited time! 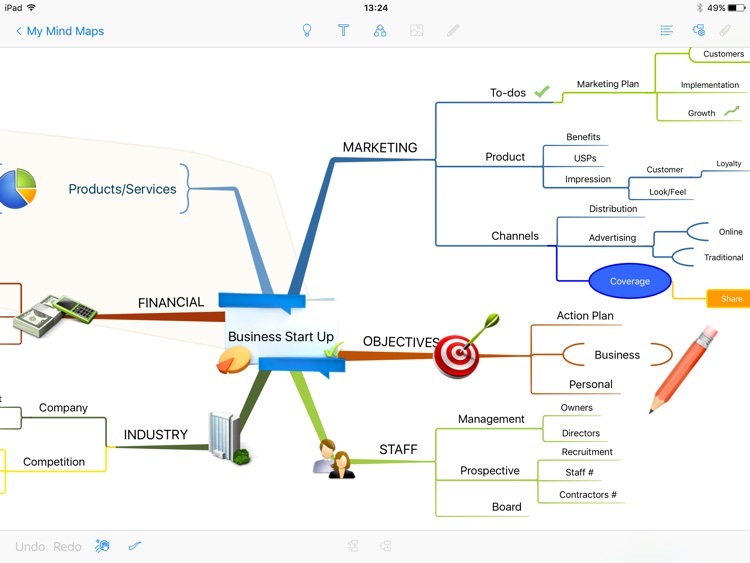 Great Mind Mapping tool with awesome features at an attractive price! 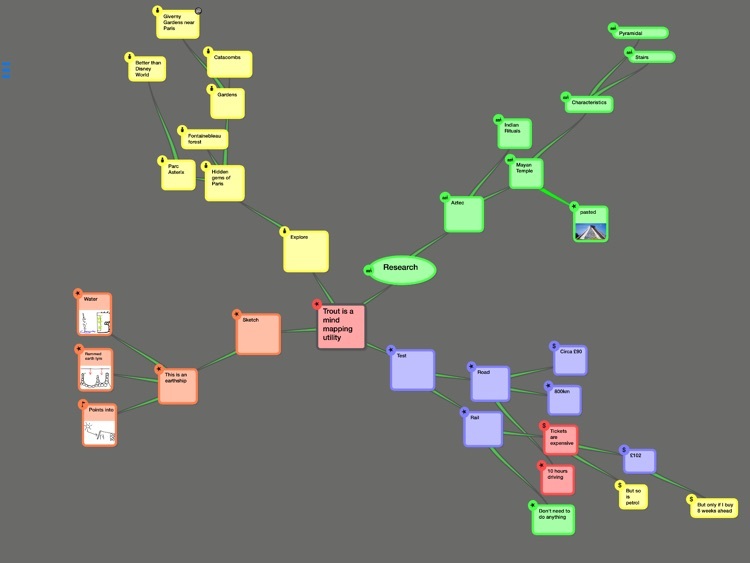 Brainstorm, To-do Lists, Spider Graphs, you name it! 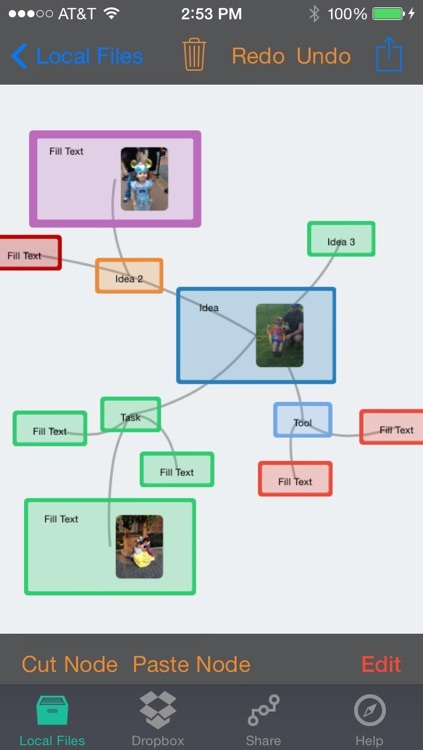 One of the only mind mapping tools that allows printing and the addition of pictures. 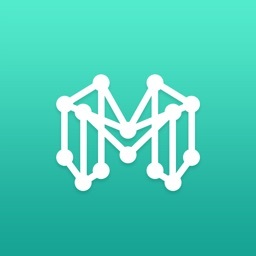 Just double click to make a Node! 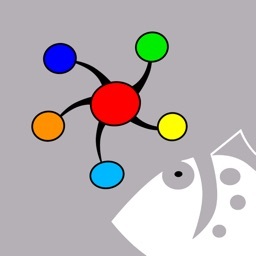 Trout is a mind mapping application that allows you to rapidly associate words and images, and help you organise your ideas in a non-linear way. 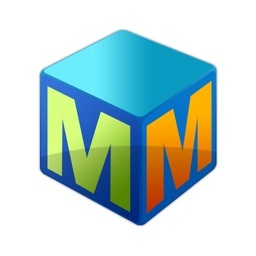 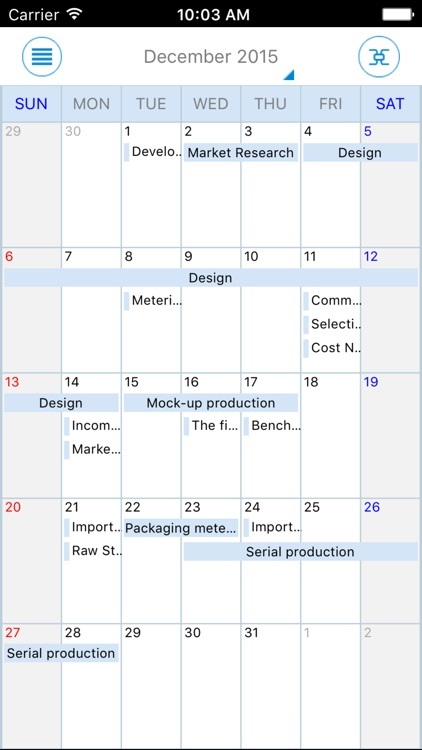 It could assist you with organising an event, writing a document or solving a problem. 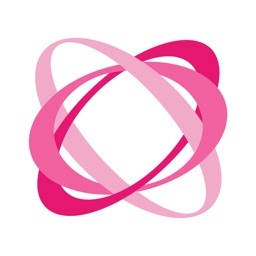 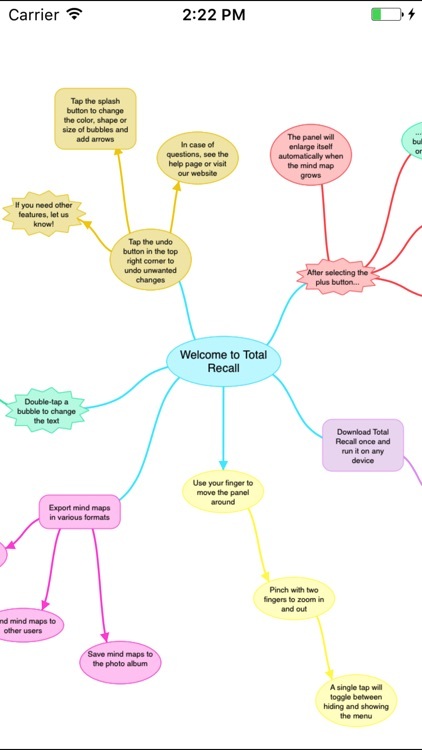 Total Recall is the simplest and most elegant mind mapping solution on the iPhone and iPad. 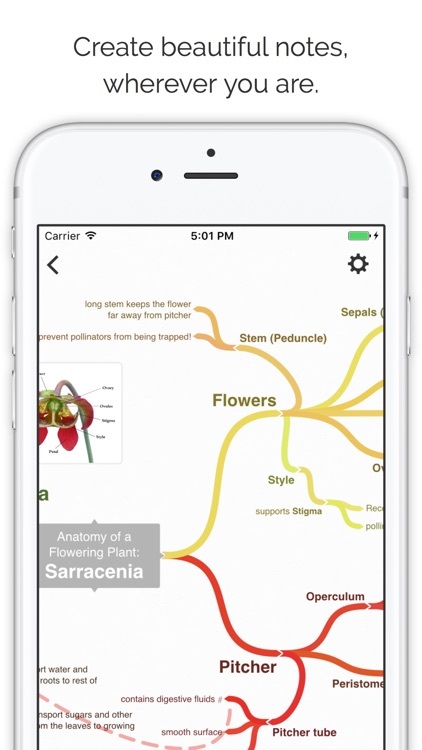 You will instantly create beautiful mind maps and share them with colleagues and friends. 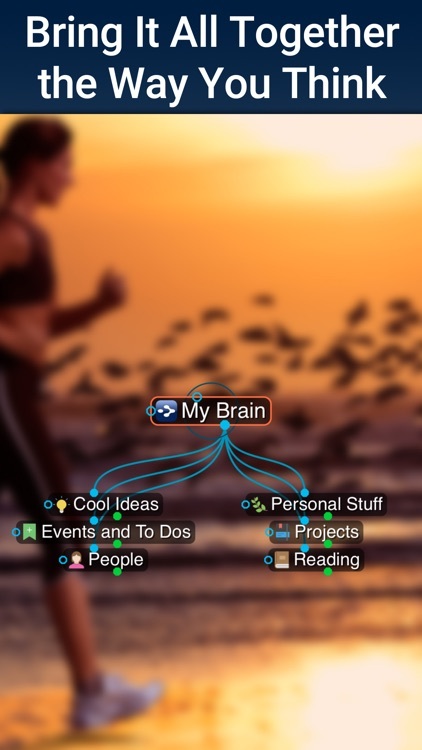 Organize your professional and private life with a few simple strokes – mind mapping has never been more fun. 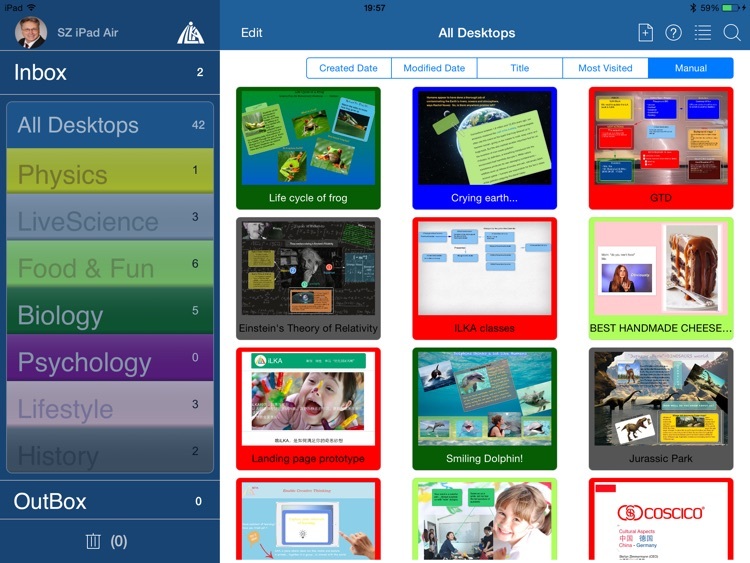 Designed for learning, made for the classroom. 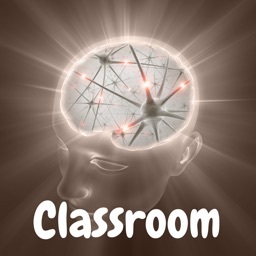 Connected Mind is approved by teachers, for teachers. 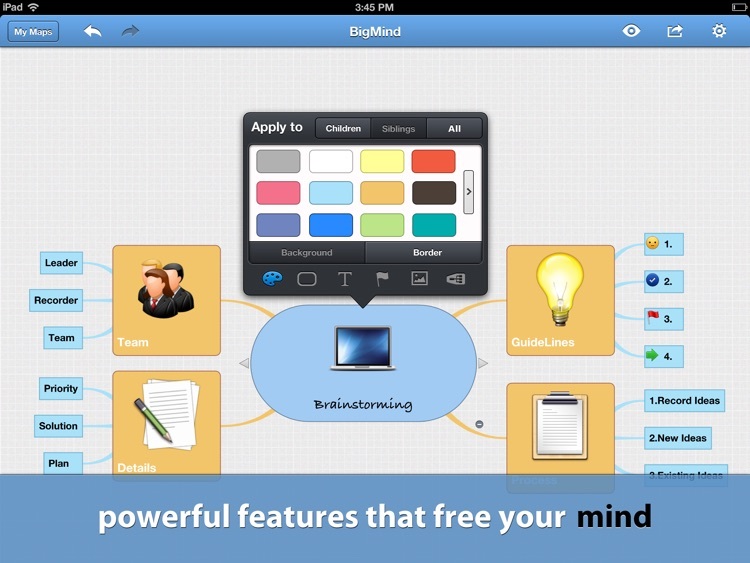 BigMind is a perfect tool to create a mind map. 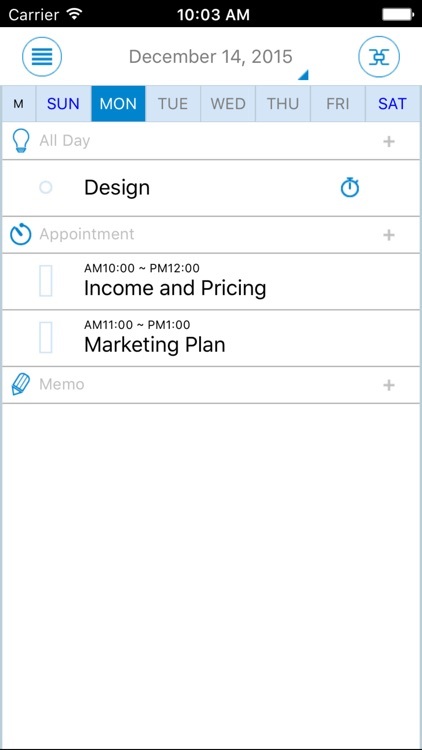 It can record your ideas, create to-do list, take note at meeting and anywhere else you require a fast, intuitive method to collect ideas and information and think things through. 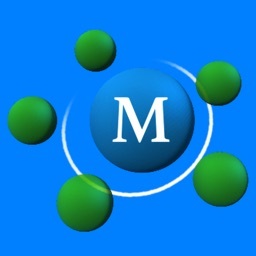 This is a free version that contains advertisements. 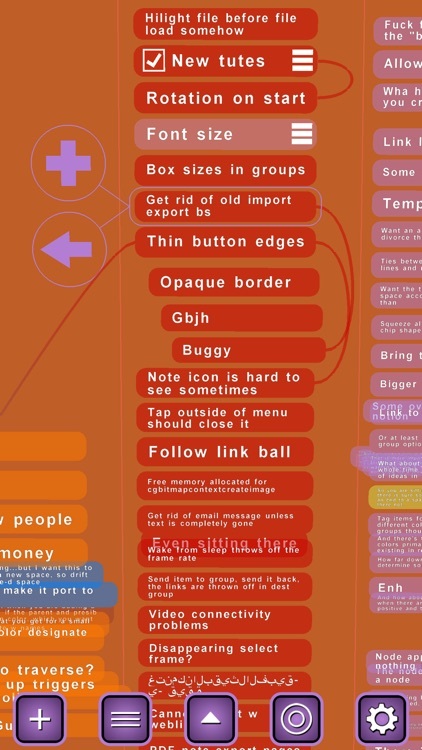 If you like it, you can buy the paid version.Less is more.Very easy and speedy to create beautiful mind map.Very easy to use.Many kinds of theme(56 kinds of theme).Freely change line style(9 kinds of line style).Clean and beautiful interface.Foldable and movable menu.Help you organize your thoughts very quickly.Infinitely expanding canvas.You can create your project as big as you can.Infinitely central thoughts.Freely move any mind map node.Automatic line adjustment.It can also be saved as photo to your photo library.Easy and beautiful.This software uses game engine to develop,so it has some dynamic effects.The mind map list uses big screenshots,so you can see all your mind maps very clearly! 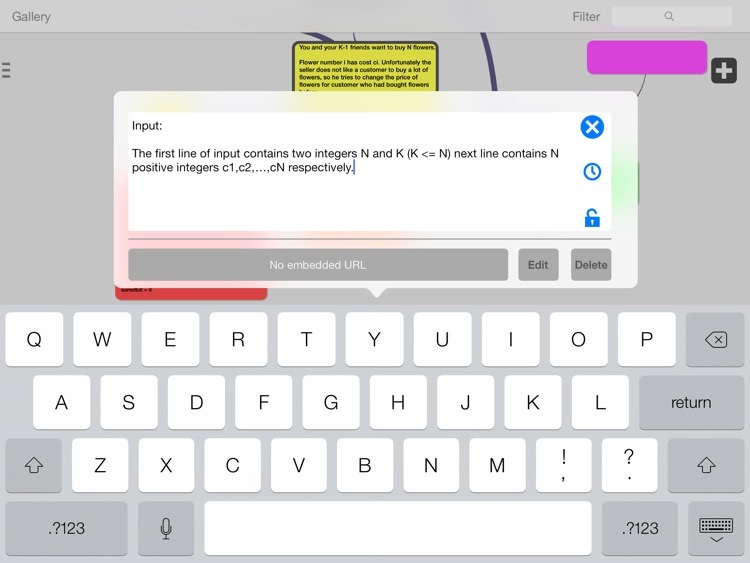 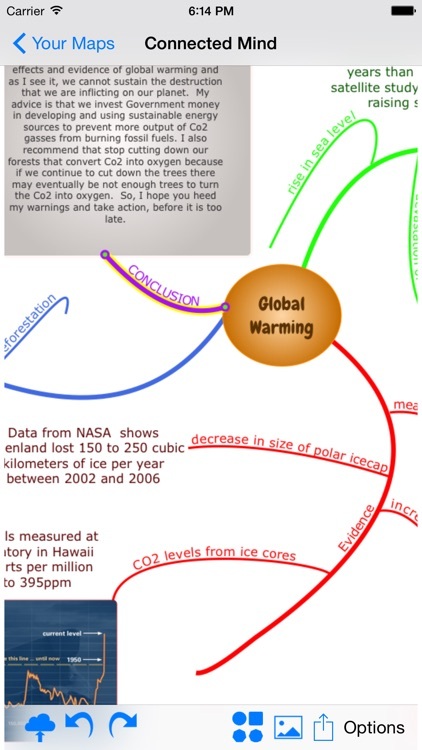 Connected Mind allows students to visually connect ideas and organize information as it makes sense to them. 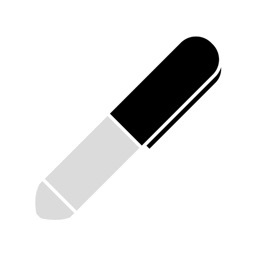 Our revolutionary finger-drawing technology combined with a toolbox of design elements turns dull information into dynamic memories. 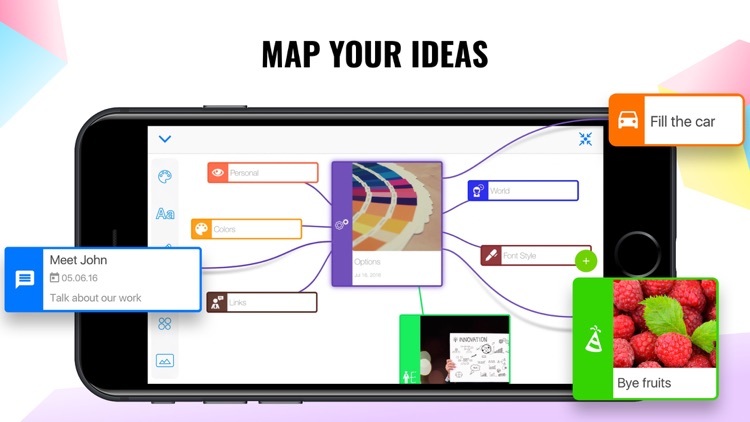 Create a map, drag and drop lines of thought, connect ideas with detailed notes, add a rainbow of colors, shapes and images to make a memorable masterpiece, just as you see it in your mind. 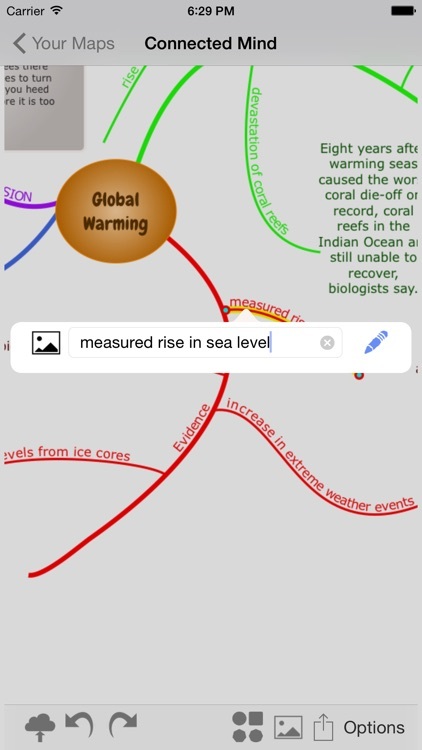 We understand that today's student needs access to mind maps both inside and outside of the classroom. 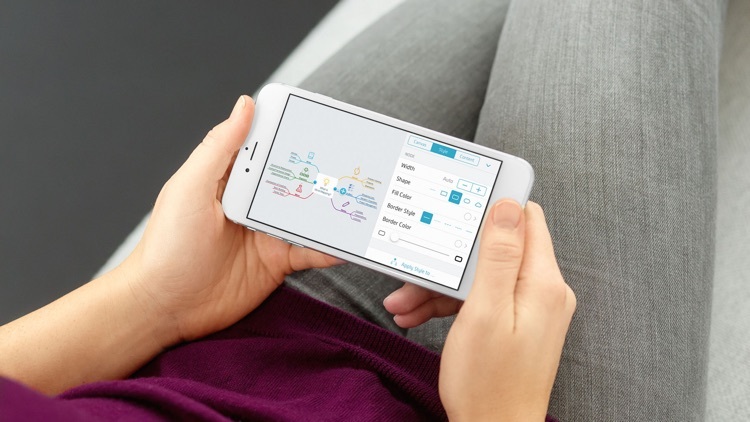 In response, we've developed the Connected Mind Map Cloud that safely and instantly syncs your mind maps with multiple mobile, tablet and desktop devices. 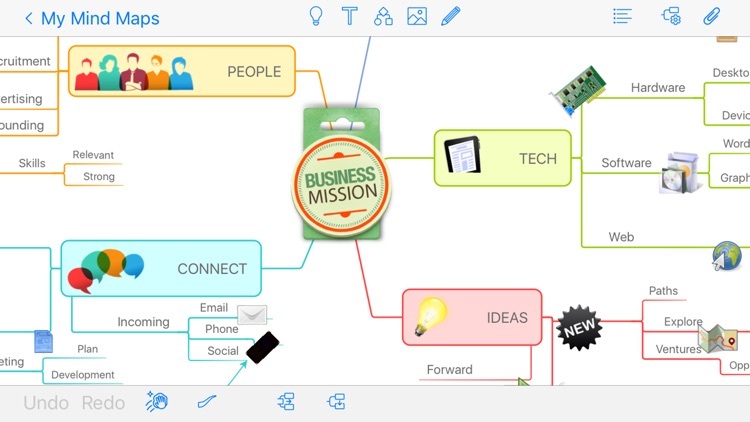 Mind mapping helps you to visually organize and link concepts, ideas, words and images around a central topic. 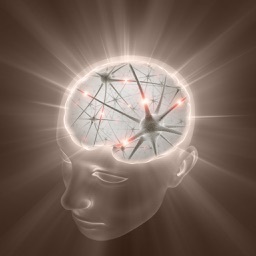 In today’s world we suffer from information overload. 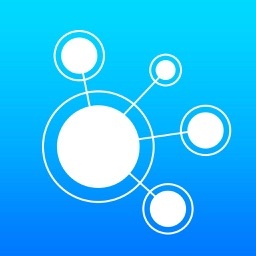 Connected Mind provides you with a creative way to structure the information as it makes sense to you. 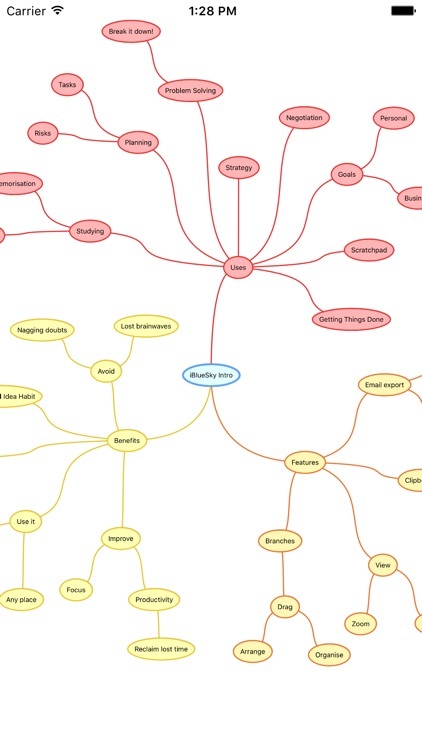 This is the full version.Less is more.Very easy and speedy to create beautiful mind map.Very easy to use.Many kinds of theme(57 kinds of theme).Freely change line style(9 kinds of line style).Clean and beautiful interface.Foldable and movable menu.Help you organize your thoughts very quickly.Infinitely expanding canvas.You can create your project as big as you can.Infinitely central thoughts.Freely move any mind map node.Automatic line adjustment.It can also be saved as photo to your photo library.Easy and beautiful.This software uses game engine to develop,so it has some dynamic effects.The mind map list uses big screenshots,so you can see all your mind maps very clearly! 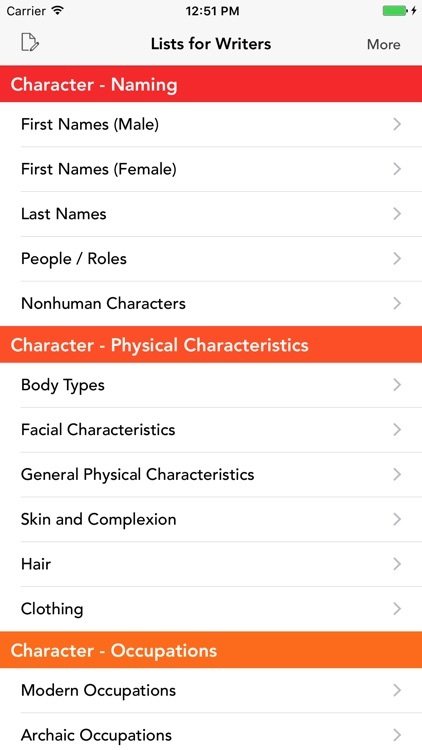 reteNoteLite is a simple application. 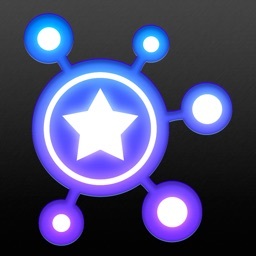 This is a ios application that you can create a note in a favorite colors and shapes. 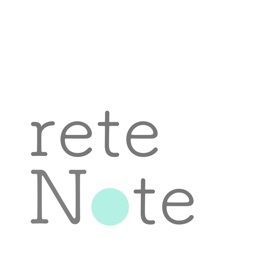 With reteNote, you can create a practical and beautiful note. 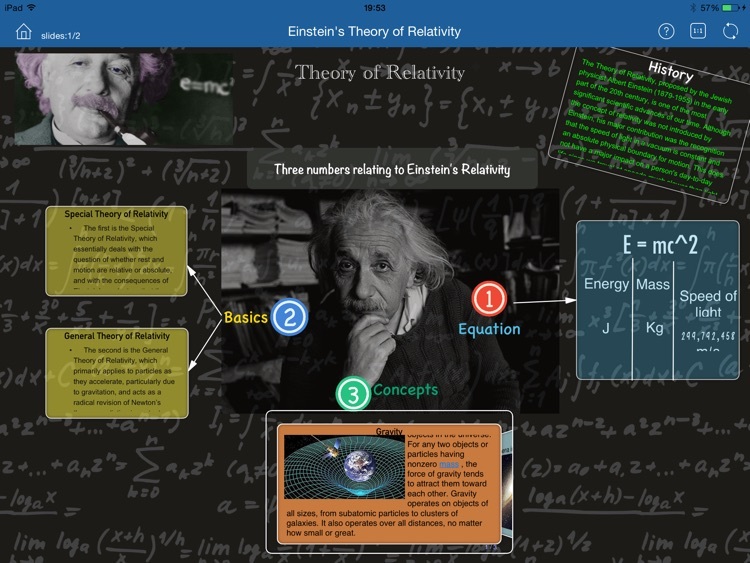 By taking notes graphically, it will expand your thinking. 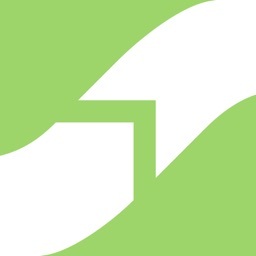 reteNote make that help. 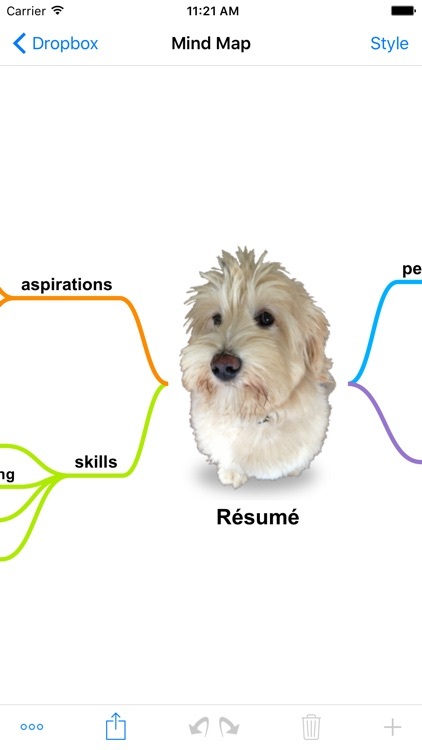 reteNote will be simple from now on. 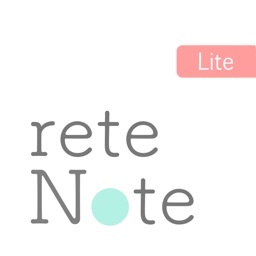 *This is the Lite Edition of reteNote. 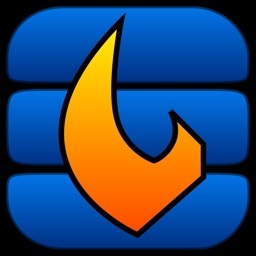 -Map out your ideas, and organize your scattered thoughts. 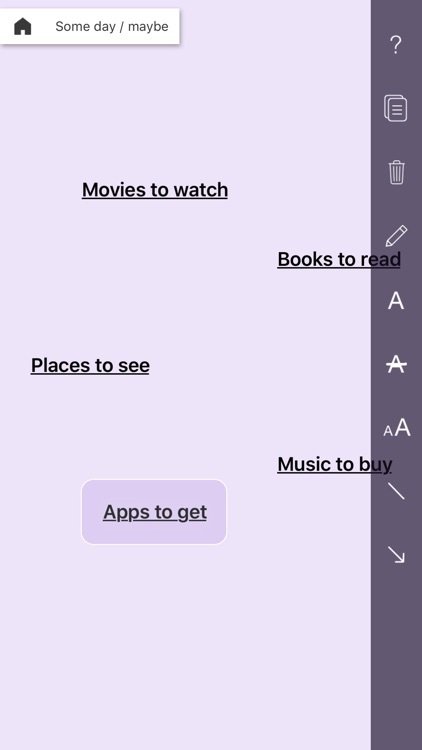 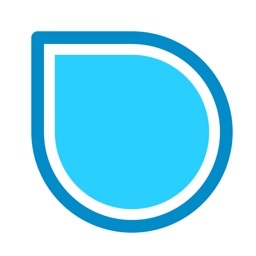 -Use this app as todo list, mind map, diary and the any type notepad by devising the color and shape. 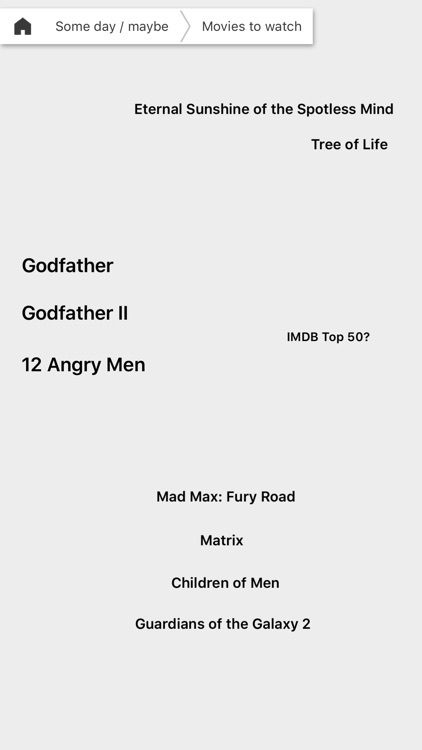 -Also create simple tables and graphics using a little idea. 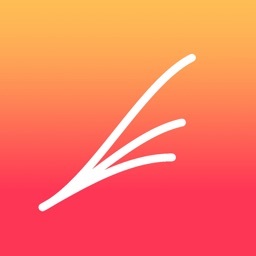 -Start on any position in a page anytime, anywhere. 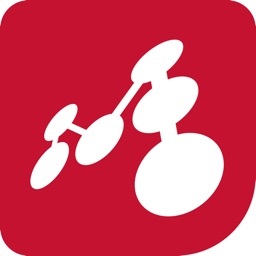 reteNote is a simple application. 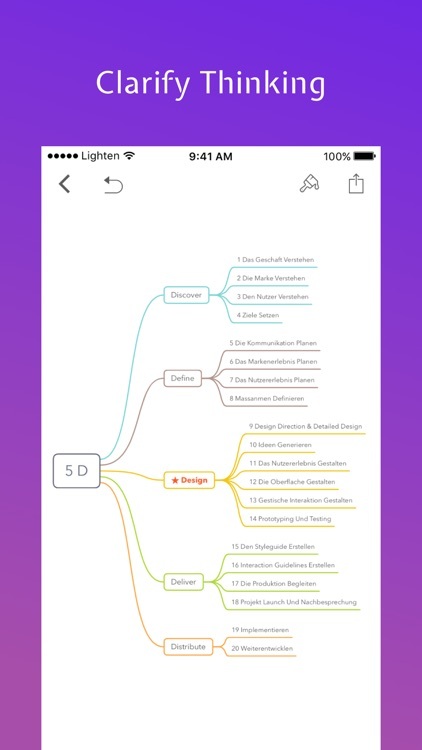 Mydea is a smart mind mapping app, which helps you to visually organize your thoughts, remember things and discover new ideas. 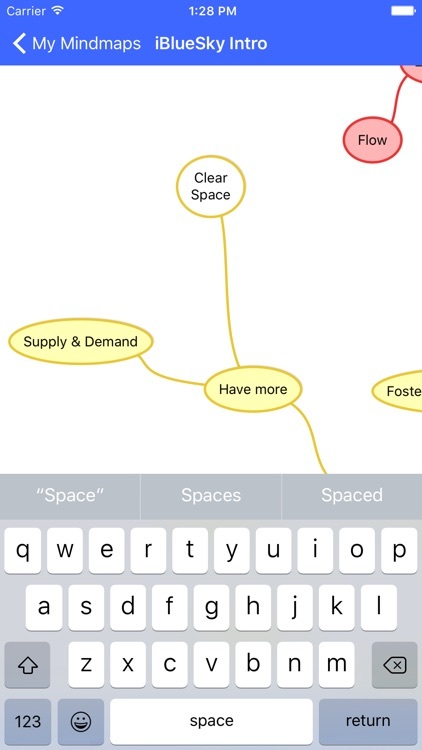 Mind Expert makes mind mapping delightful. 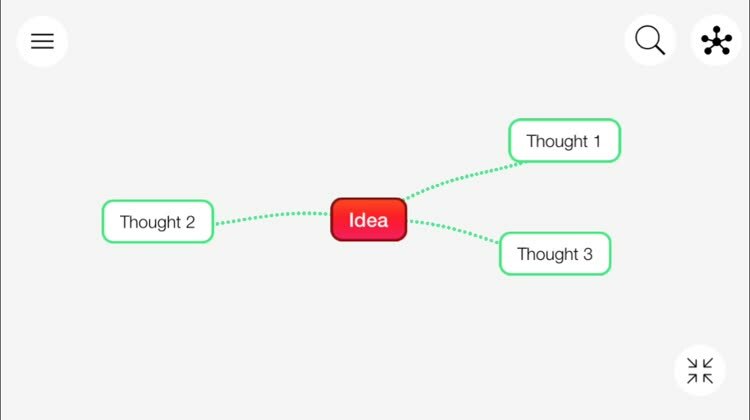 Mind maps are a visual representation of your ideas, starting with a central thought and growing from there. 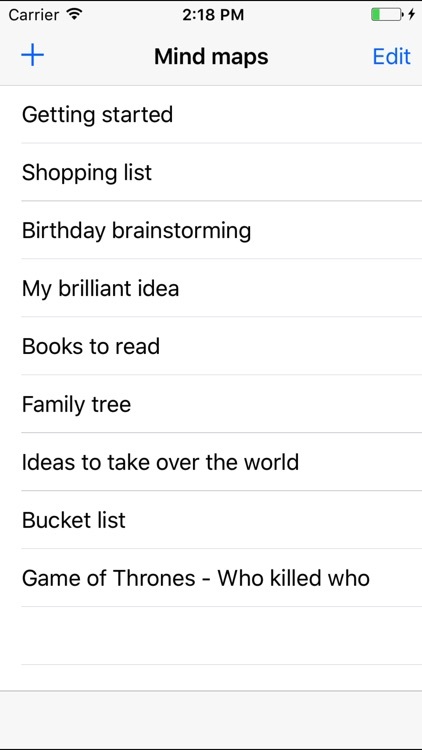 Mind Expert allows you to brainstorm, organize & share your thoughts in an intuitive way, so you can focus on the idea behind it. 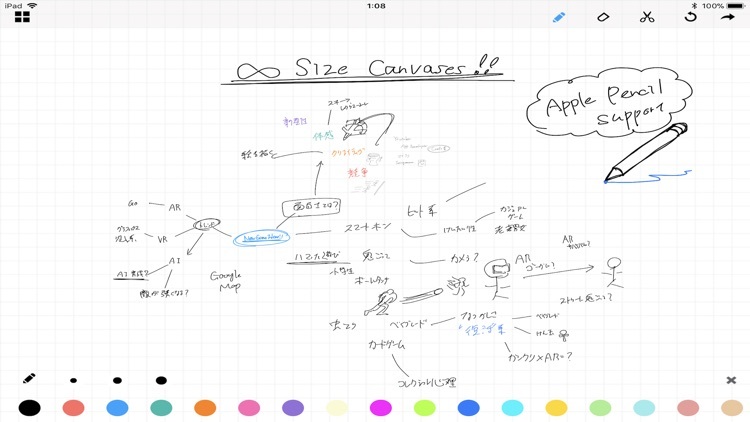 The clean interface lets you concentrate on generating and connecting thoughts, and an infinitely expanding canvas means that no matter how big or complicated your project gets, Mind Expert can keep up. 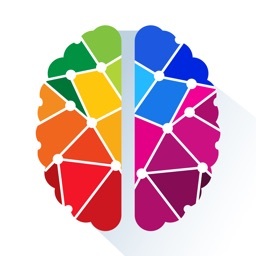 Mind Expert has helped students, artists and project managers to be more creative with less effort. 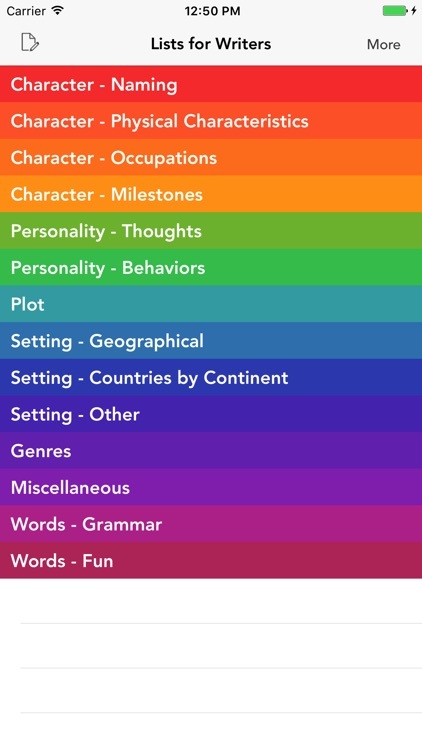 Map your mind with this powerful productivity app.